In the ever-changing world of hip-hop emcees come and go, but with the right combination of style, flow, and charisma some reign for a lifetime; up and coming emcee Lok Akim is one of those artists. 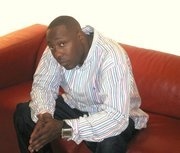 Having been a ghostwriter for some of the hottest entertainment acts, both R&B and rap, Lok is no stranger to the game. But like all things, his silence must come to an end. In his debut album Broken Silence of a Ghostwriter, Lok Akim exudes confidence and extraordinary talent, having produced, recorded, and mixed a number of tracks on this album. In an ode to his home town of New Orleans, Louisiana titled Isle of Orleans, he gives his listeners a lyrical tour of the place he calls home. This album aims to please every type of hip-hop lover with rough edges and melodic twist and turns with songs like She’s Bad and Lime Light, a song about the ups and downs of ghostwriting where he spits “It’s a privilege making a living off what you do, but it’s limited when nobody knows that dude’s you.” In his debut album Lok pulls listeners in to the underbelly of America’s fastest growing music genre, shinning a light on what people want to know most, without revealing his gold and platinum clients of course. Lok Akim was born to entertain, being exposed to the music industry while still in the womb. Lok had a very musical upbringing; his mother, a blues singer and player of several musical instruments and his father, a well renowned jazz percussionist. He was taught to play snare drum at the age of 6, but it wasn’t until his grandmother bought him his first trumpet at age 9 that Lok truly began his love affair with all things music. By the early 2000s Lok Akim had track placements on No Limit artist’s albums like Big Ed and Fiend. Lok also wrote choruses for the label and orchestrated vocal arrangements for their R&B acts as well. When the label dismantled, Lok took this opportunity to spread his wings; he then did a lot of traveling and working with several up and coming labels and artists. He has worked with G Dinero of Evander Holyfield’s Real Deal Entertainment, Warrick Dunn’s Big Ticket Entertainment, Grand Hustle/Arista’s Rashad Morgan, Grand Hustle/Capitol’s Alphamega, and is featured on a chorus for rap legend MJG. Today Lok works in his state of the art home studio on his own album with history and life’s lessons as his guide and his Blakwater (BH2O) family on his back. Lok Akim is looking forward to bringing his album Broken Silence of a Ghostwriter to the forefront, shinning a light on the underbelly of America’s fastest growing music genre, lips unsealed… silence broken.